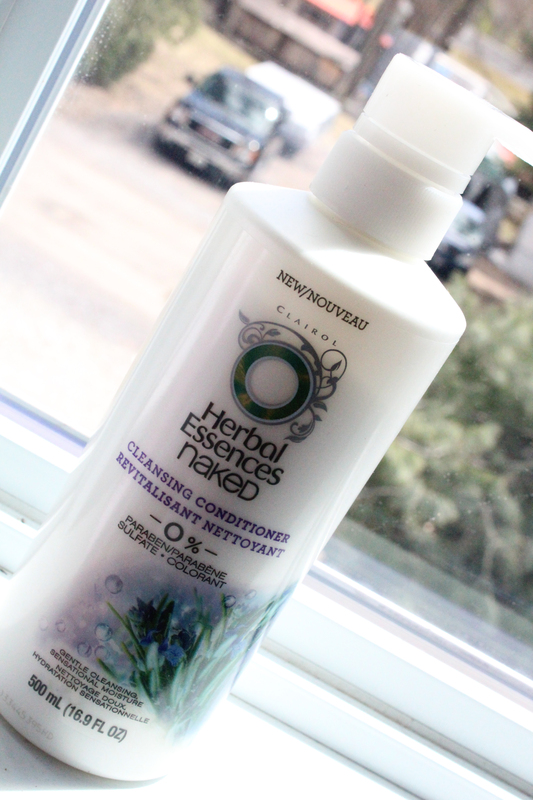 Herbal Essences Naked Cleansing Conditioner – amandarobots. The premise behind the Naked Cleansing Conditioner is that it has no parabens and no sulfates. It does have a little bit of silicone, but it’s far enough down on the ingredients list that I’m not worried about it. I’ll start off with the packaging. For $7, you get a LOT of product. Seriously. It’s 500mL (16.9 FL OZ, for all you Americans out there). But what I love most about the packaging is the pump! None of the hair products that I’ve ever tried have had a pump, so this is a whole new world for me. It’s super convenient. The formula itself is very thick and rich, and I need 3-4 pumps to do my whole head. And the smell, folks. It’s an herbaly minty situation, and it is phenomenal. It smells so good that it makes me sing the old Herbal Essences commercial song in the shower. The best part is that the smell lingers for a few days after I wash, too. It gets my hair really clean, too. Obviously not squeaky clean like a clarifying shampoo, but it doesn’t leave behind any weird residue or anything. I do follow with a conventional conditioner, but I don’t notice that the cleansing conditioner dries out my hair. It’s nice and soft afterwards. If Herbal Essences removed the dimeticone, this product would be a CG-method-follower’s dream. If that doesn’t bother you, and certainly for all you no-poo-ers out there, this is something to try.